The house lights go down. Murmurs of expectation ripple through the crowd and die away to a palpable silence. The brass section crescendos, cymbals clash and hearts swell. Eyes are fixed unblinking on the empty stage until suddenly a lone white spot appears and etches a lectern in its throw. And just when the anticipation seems to have reached an unbearable climax, the curtain twitches and out steps … a graphic designer. Design conferences are the places where we hear designers’ voices most literally. Yet, of all the apparatus and artefacts that the graphic design community uses as professional buoys, conferences are the least evolved and most perplexing. Books, annuals, magazines and exhibitions are, after all, native territory to graphic designers, and academic curricula and professional associations are firmly established in the discipline’s psyche. Conferences, however, are relatively new additions to the field and they sit somewhat uneasily within it. Their Styrofoam coffee cups, skirted buffet tables, ‘Hello my name is …’ badges and PowerPoint presentations bring with them the foreign whiff of Shriners’ conventions and the annual industry gatherings of travel agents, car insurance brokers or dentists. Ever since they were first co-opted (for industrial designers by Container Corporation of America CEO Walter Paepcke at the first Aspen conference in 1949, and for graphic designers by American Institute of Graphic Arts president Colin Forbes in 1985), attendees, speakers and organisers alike, have wrestled with the shaggy medium. Designers and organisers do well with creating the paraphernalia that surrounds a conference – the programmes, hats, tote bags, stickers and signage – sometimes even satirising the formats as they do so, but they have a harder time tackling the more human and real-time qualities of the experience – seating, lighting, flow, social interactions, performance and choreography. From the minute designers begin to arrive in the hotel lobby, their Mandarina Duck luggage contrasting awkwardly with the over-zealous flower arrangements, they must confront the fact that a conference cannot be edited like other media. An unwieldy composite of experimental theatre, live TV chat show, rock concert, poetry reading, wedding and summer camp, conferences have large and messy lives of their own. This potential for chaos is actually one of the medium’s richest and most under-quarried virtues. The first frequently cited problem with graphic design conferences is that their featured speakers tend to be graphic designers. Designers, whose very vocation means that they have chosen to express themselves visually, are summoned on stage in front of thousands of people to expound, to narrate, to inspire – orally. Of course there are visuals, but the work we so admire is often flattened and de-contextualised, subjected to the mangling whims of a digital projector. Many designers are brilliant communicators – when teaching or writing, pitching or designing. Only some are brilliant speakers. And they are not necessarily the most talented designers. But due to the interrelatedness of conferences and the design media (on the whole, conferences are run either by professional associations or publishing companies), the influence of these designers blessed with the gift of the gab permeates the design ecosystem further than it might otherwise. They become, quite literally, spokespeople. Among the recognisable types of good speakers from the core of the graphic design community are these three categories: the charismatic raconteur who can weave social commentary into the fabric of their narrative, and possesses the rare art of making you feel, despite the audience around you, that you are the first and only one privileged enough to hear their tale (Milton Glaser, Stefan Sagmeister); the consummate performer who plays the crowd with the calculated nonchalance of a rock star (Peter Saville) or with scripted barbs (Chip Kidd); and the thoughtful orator whose argument builds sure-footedly along an arc of reason and light towards its triumphant conclusion (Rick Poynor, Lorraine Wild). It’s no coincidence that those in the last category are excellent writers, too. In addition to this physical designer-tourism, there are the virtual excursions that designers make into neighbouring and sometimes distant professions. As design’s relish for the concept of interdisciplinarity continues to grow, so does the demand to hear from voices beyond the pale. This may indicate at a surface level a maturation of the profession – a move away from the introspective exercises in self-congratulation that characterised the early years of design conferencing – and a genuine interest in the sparks sometimes generated when the planes of two disciplinary discourses scrape together. Underlying the selflessness is, however, a yearning to hear that heart surgeon, that sportswoman, that marine biologist tell us just how great design looks from the outside. One of the main reasons we go to design conferences is to find something unattainable in another medium (until we have VH1’s Behind the Music for design that is): the person behind the work. We come to see our heroes unabridged and in the flesh. If they have tics, flaws, or dog hairs on their slides, get a bit drunk at the conference party, or actually burst into tears on stage (as designer Rick Valicenti did at AIGA’s Chicago conference in 1991), then so much the better. There is a human scale to a conference that cannot be rendered in a magazine article or a book. Conferences are, at their essence, social gatherings; a fact that is especially important for a profession of loners. ‘Given that everyone works on a computer all day and that more and more people are independent or work in small shops, I think bringing together a community of people is more important than ever,’ says Sam Shelton, a conference enthusiast and owner of a small design firm in Washington DC. Bierut, who has an uncanny knack of intuiting to within a hairline rule the preferences of an American design conference attendee, insists on the commonalities that underlie the experience of being a designer. He likens the sense of relief felt by a long-misunderstood and marginalised designer when she meets with lots of others of her kind, to the joy of a Tourette’s Syndrome sufferer arriving at the annual Tourette’s convention: finally, she can really let loose and say what she really thinks about Jonathan Hoefler’s latest typeface. Apart from the Technology Entertainment Design (TED) conference ring-mastered by impresario and information architect Richard Saul Wurman – where business deals of mythical proportions have been struck in the sponsored coffee breaks, and attendees notoriously schedule five-minute ‘conversations’ with one another ahead of time – the networking that takes place at design conferences is low key. ‘Business gets done. But in a soft kind of way,’ says Baines. If you are seeking partners for large-scale collaborative projects, or are a junior designer going through your rite of passage, or a student looking for a job, or you simply want to connect with peers, colleagues, friends whose opinions and counsel you value, the conference set up works well. All conventions have their own paradigm quirks. Gather together a large number of designers, and it is inevitable that the minutiae of a conference – its signage, slides, the music that is played as you walk in and out of the room – will be subjected to rigorous and often passionate analysis. After-conference response questionnaires invariably comment on form rather than content: for the audience of designers this focus on the details of a conference is both congenital and necessary. ‘Conferences need to be designed in the way that any other product or service is designed,’ thinks design writer Nico Macdonald. He is an advocate of using technology such as WiFi Weblogging (realtime reporting on the Web via a wireless Internet connection) and live collaborative editing on to projected Hydra documents (which allows participants to record and share their thoughts in one document) to elicit more contribution from attendees and to extend the life of a conference discussion before and after its allotted timeframe. Another challenge conferences face today, then, is one of graphic design in general: there are so few actual issues to get hot under the collar about. The ‘insightful conflict’ that Zimmerman is referring to is a rarity in design conference history. Even the now-mythologised Tibor Kalman / Joe Duffy face-off at AIGA’s 1989 Dangerous Ideas conference, in which Kalman, co-chair, challenged the Minneapolis designer to defend his stance on advertising in a hastily assembled gladiator’s arena, was really no more than a theatrical examination of the two sides of the same coin. (The fight was restaged in Print magazine’s offices and transcribed for the March / April 1990 issue). In the wake of the 1999 update of Ken Garland’s ‘First Things First’ manifesto, and as self-inflicted opprobrium for their complicity in the techno-, commerce-, and entertainment-bloated conferences of the dotcom era, designers have turned their attention to high ideals such as social responsibility and sustainability. As crucial as this self-analysis might be, the pendulum has brought a paucity of real ‘issues’ in its backswing. Few really disagree when speaker after speaker at conferences such as D&AD’s overhyped SuperHumanism and Declarations in Montreal (both 2001) and AIGA’s Voice (2002) describe his or her commitment to using design for the betterment of the world. Design conference attendance peaked at the end of the 1990s. 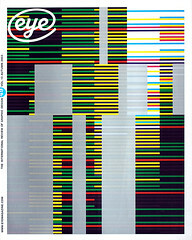 AIGA’s 1999 extravaganza in Las Vegas and the How conferences of that period gathered more than 3000 of the tribes apiece. TED sold all of its tickets more than a year in advance. But in today’s economic and political climate are conferences valuable enough to justify the expense of entrance fee, plus travel, plus accommodation? If conference themes give an indication of the current mood of the design community, then this year’s crop, despite their strident titles, appears to point to diffidence. Aspen conference’s theme this summer was the concept of safety, TED’s thesis was Rebirth with the first section entitled Fear, and AIGA’s focus in October will be on sustainability. But the tickets continue to sell. The main hall for TED 2004 is already sold out and AIGA sold more than 1000 seats long before its registration mailer was sent out. The revenue potential of a successful conference is keenly understood by design organisations whose operations lean heavily on the sponsorship associated with their annual or biannual meetings, and several design magazines obviously feel that the market is not yet glutted; at least three are plotting new conferences in the next few years.